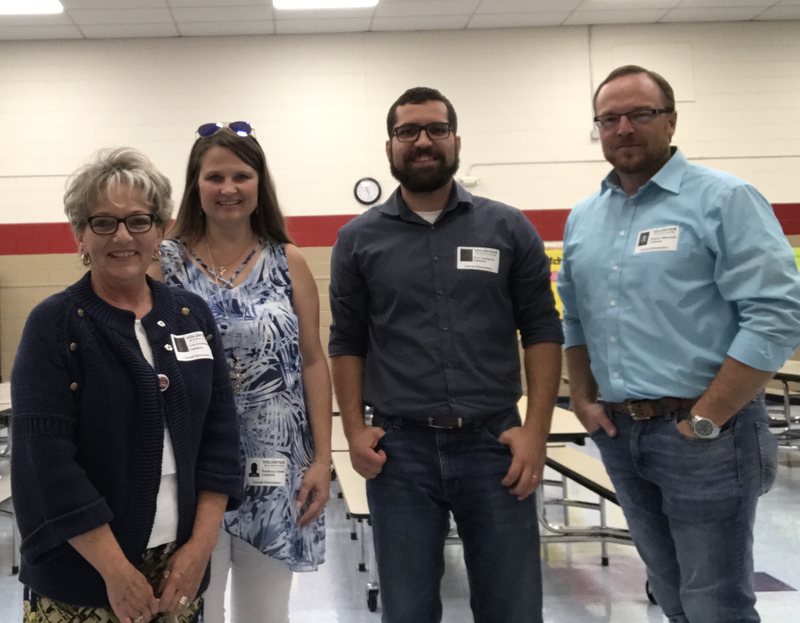 FT. SMITH, Arkansas – Employees at Arkansas-Oklahoma Gas Corporation (AOG) recently donated their time by helping Carnell Elementary students at their first week of school. AOG sent volunteers the first week to help the kindergartens with lunch trays, opening milk, and disposing of trash. This is just one of the many ways AOG employees volunteer at the school throughout the year. Last Spring, 40 sixth graders were bused to the local Grand Slam fun center for a special day of riding go carts, playing miniature golf, and hitting baseballs in the batting cage. AOG brought in pizza for lunch in the picnic area and employees volunteered to set up and serve the lunch. Recently, the entire school took a day trip to Parrot Island water park. While at the park, the AOG cook team grilled burgers and hot dogs for over 300 students and teachers. In addition, several AOG employees regularly volunteer by reading books to classes and presenting t-shirts to kids in the BUG (Bringing Up Grades) Club.